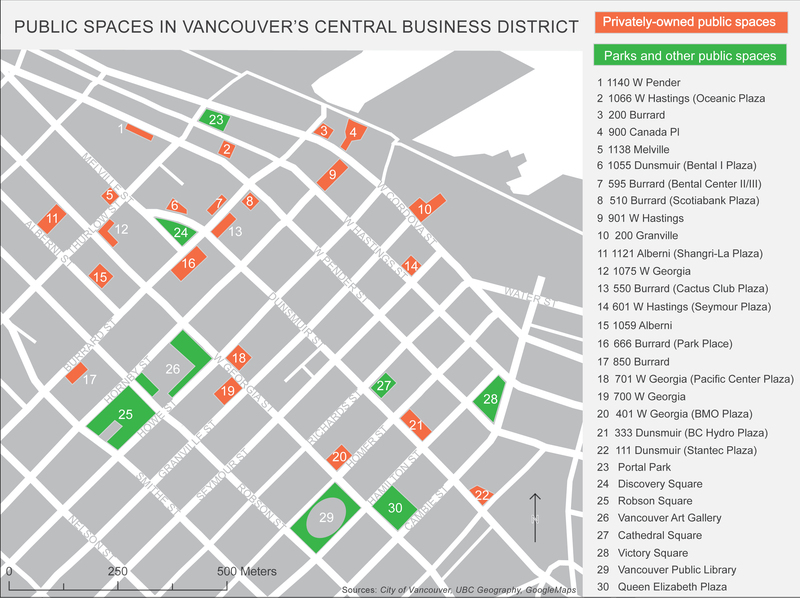 Publik Secrets is conducting an ongoing research project into the multi-faceted nature of public space in Vancouver. As a respite from the hustle and bustle of the automobile-dominated streetscape, a space for moments of reflection, or a place to connect with others, public spaces are the primary vestiges of an urban commons. With the emergence of public-private partnerships as a widespread form of urban development, privately-owned public spaces have come to signify an increasingly dominant model of public space provision. This has far-reaching implications for the possibilities of a participatory, democratic city. Using art as tool for intervention into these privately-owned public space, we ask how inclusive are these spaces? How welcoming are they to spontaneous forms of social activities?